Kristen Bell, Tricia Helfer and Eric Garcetti arrive at the premiere of Pandas at the TCL Chinese Theatre IMAX in Los Angeles. 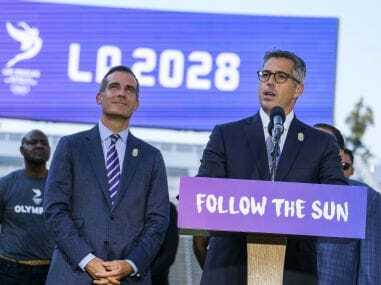 Los Angeles announced its intent to host the 2028 Olympics on Monday, paving the way for Paris to host in 2024 in a deal hailed as a win-win-win for both cities and the Olympic movement. 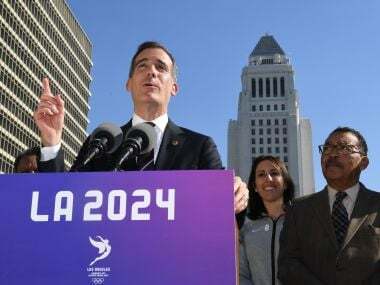 Los Angeles mayor Eric Garcetti says the US city "would be stupid" not to agree to stage the 2028 Olympics, leaving Paris poised to secure the 2024 Games. 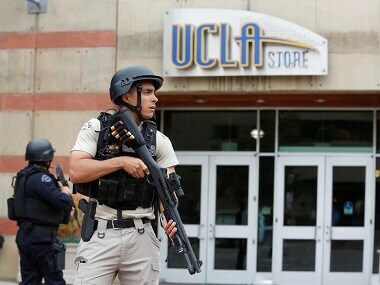 Elon Musk on Thursday said he had received "verbal" approval to start building a high-speed underground transport system linking New York and Washington that could cut travel time between the cities to about half an hour. 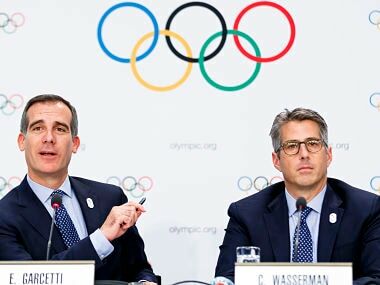 The International Olympic Committee agreed on Tuesday to award the 2024 and 2028 Games at the same time, effectively guaranteeing that Paris and Los Angeles will be the hosts. 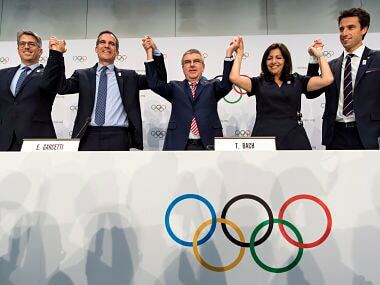 The International Olympic Committee is poised to hand the 2024 and 2028 Summer Games to Paris and Los Angeles on Tuesday in a landmark double hosting deal. 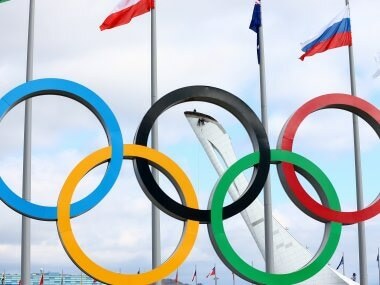 IOC confirmed last week it could award both the 2024 and 2028 Olympics at the same time when the body meets for a crunch vote in Lima in September. 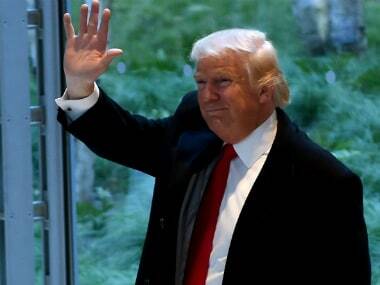 US President-elect Donald Trump has offered his support to Los Angeles's bid to host the 2024 Olympics, the mayor's office has said. 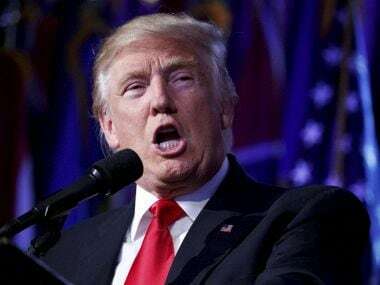 Donald Trump's election as US president will not harm Los Angeles' chances of winning the right to host the 2024 Summer Olympics, the city's mayor insisted on Tuesday.